Are you an aspiring cable cutter? That is, are you looking to ditch the cable TV subscription fees in favor of a standalone home media center? If so, you might benefit from equipping your home with an Android TV box. However, since these products have become so popular in recent months, the market is saturated with low-quality boxes. That’s where we come in. We’ve chosen some of the best Android TV boxes on the market to help you find exactly what you’re looking for, without breaking the bank. Now, before we jump right into our product reviews, let’s take a second to explain what an Android TV box is and how it works. This can help save you considerable amounts of money and even reduces the risk of you getting into any kind of legal trouble. 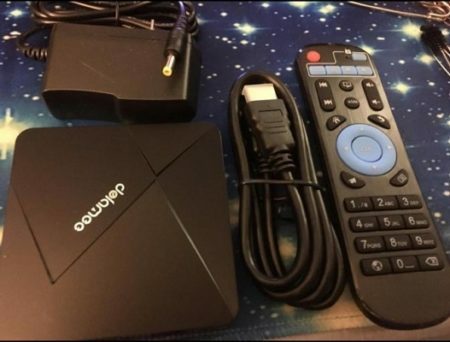 Essentially, an Android TV box is a device that plugs into your TV and allows you to install Android applications for easier viewing. Have you ever connected your phone to the big screen? In principle, it’s the same thing. So how does this help you ditch cable? 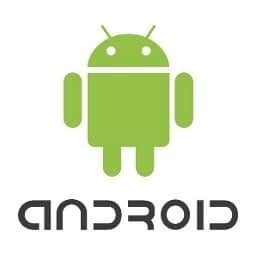 Well, because Android is a fairly open operating system, you can install all kinds of programs including Kodi, Plex, and even standalone apps from content providers like NBC, the BBC, and Netflix. Simply put, these boxes turn your standard TV into a smart TV. Did You Say Legal Trouble? Yes, but as long as you’re sensible, this won’t be a problem. You know how there are many places to watch completely legal content online, but there are some unlicensed streaming sites? Just don’t install disreputable streaming apps. By using only legal sources of content, you remove the risk and can rest easy knowing that you haven’t done anything wrong. In fact, many of the legal apps have better customer support and higher quality video anyway, so there’s really no reason to go anywhere else. Let’s get one thing straight: Android requires very little in the way of system resources. As a result, you won’t need a ridiculously powerful TV box. Generally, 1GB of RAM is good enough, and a 1.5GHz processor will probably get the job done. 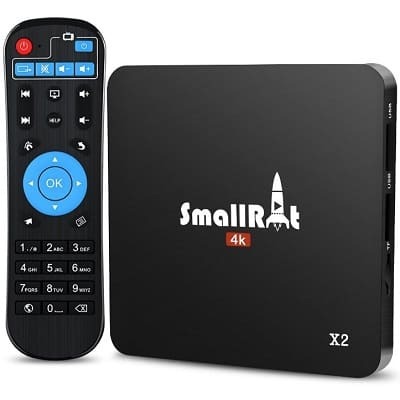 Obviously, if you want to stream 4K video or reduce buffering time, a more powerful model is preferable, but really, there’s very little incentive to spend more than 100 USD on an Android TV box. Simply put, you could build your own for far less than this. How do you intend to use the TV box? For some people, a remote control will feel most natural, but it really all depends on the setup of your room. Are you going to be using the browser a lot? If so, you might want to consider a dedicated wireless mouse and keyboard arrangement. 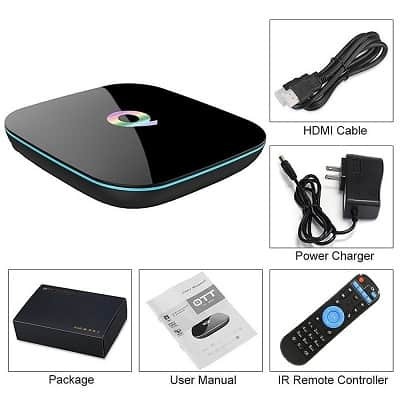 Your TV box will require an internet connection. Do you want to use an Ethernet cable or will you be relying on a WiFi signal? Wireless signals decay the further the device is from the access point, so in this scenario, where you place the TV box is very important. Poor placement could lead to very slow video loading, after all. If you’re new to the world of Android TV boxes, it makes sense that you wouldn’t want to spend a whole lot of money. 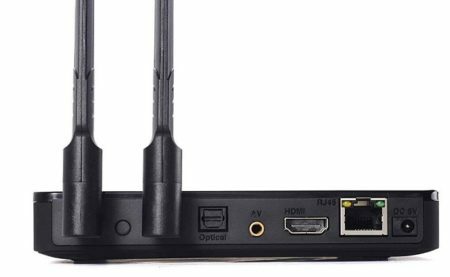 There’s no need to worry, though: below, you’ll find three decent entry-level Android boxes that offer a taste of what this platform has to offer. We’re going to kick this list off with the DOLAMEE D5. It costs less than 50 USD, runs Android 6.0 (Marshmallow), and offers slightly more powerful hardware than most others in this price bracket. The 1.5GHz processor is powerful enough to stream 4K and 3D video at 60fps, but because there’s only 8GB of storage, you’ll likely want to invest in some additional storage. The easiest route would be via a USB flash drive. These are usually fairly inexpensive and you can easily find one that quadruples the size of this box’s storage. It should be noted, however, that the D5 can only connect to 2.4GHz WiFi. The unit’s performance would have been even better if it had 5GHz wireless support, but thankfully, it does well enough without to justify purchasing it. So how will this fit into your home? Well, it comes with a fairly basic remote control and it’s just 7.4x5x1.8”, so it’ll fit just about anywhere without too many problems. You’ll need a 5V Micro USB to power this model too, but if you don’t have an outlet free, you could always just use a power bank. Our second wallet-friendly recommendation is the SMALLRT X2 Box. 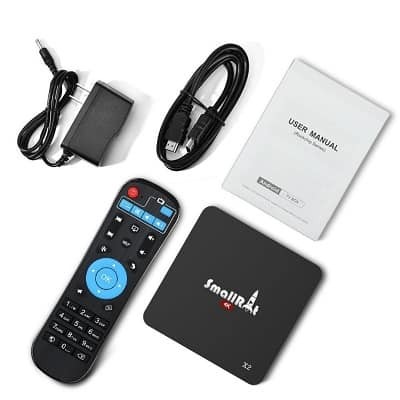 The first thing you’ll notice is that it has the exact same remote control as the previous model, but there are a few key differences that warrant this product’s place on our list. Essentially, this model trades out some of the RAM in exchange for a faster processor. Usually, this would mean slightly longer loading times, but thanks to the X2’s dual-decoding mechanisms, there’s actually very little difference in terms of buffering. Of course, the money saved on the RAM manifests itself to the consumer via a lower price tag – around 35 USD. Another key difference is that this box uses a DC jack to charge. This does mean that it’s slightly less convenient, however, more powerful hardware requires extra juice, so it’s just the price you pay for quality. 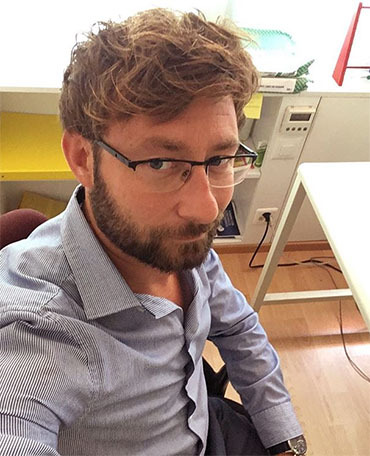 Now, let’s talk connectivity. There’s a TF card slot, and two USB ports in case you want to increase the size of the default 8GB storage space. Bluetooth functionality is also available. This product is compatible with AirPlay and various other casting methods, plus there’s an Ethernet port for wired connections. Lastly, let’s look at the BOMIX TV Box. Now, this product looks far more expensive than its price would suggest – it’s all sleek, rounded edges and the remote has a brushed metal finish. That’s all well and good, but how does it perform? This box uses the latest HDMI and EMMC technology to maximize data throughput. This means shorter loading times, less buffering, and all in all, smoother playback. It has far wider file format support than most others and is capable of playing even the rare types like DivX and RealVideo. It’s also worth mentioning that this box is absolutely tiny. It measures a little over 3” wide and deep, and can connect via Bluetooth to wireless devices for easier casting. This model also uses a DC adapter for power, but this makes sense given its 64-bit architecture and higher requirements. The total setup time for the BOMIX box is less than a minute. 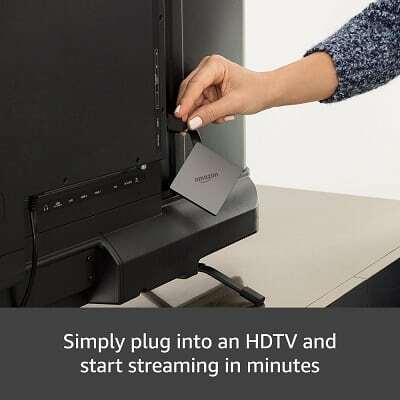 It’s as simple as connecting the power and HDMI cables, then installing any apps you’d like to use. The processor is even fast enough to handle IPTV streams and 4K video, so there’s really nothing that this product can’t do. More and more content providers are starting to move into the world of 4K video. However, not all TV boxes can handle this. The products below can stream 4K video not only smoothly, but consistently. Of course, your internet connection has a part to play, but you can count on the hardware to hold up at the very least. First up, we have the Amazon Fire TV. 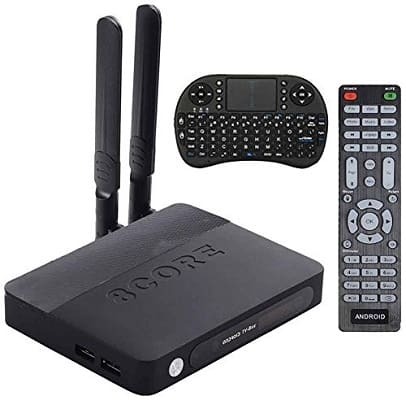 This has similar hardware to some of the boxes we’ve already covered but its remote control accepts voice commands and can even be paired with an Amazon Echo for completely hands-free content control. Because Amazon is very well-known, this product has a far greater range of customer support than any of the others we’ve seen so far. There’s even a variant that includes an HDTV antenna so you can pick up free, over the air TV broadcasts. So what do you have to look forward to? The Fire TV is not only capable of streaming 4K with ease, it offers official apps for some of the largest broadcasters including HBO, NBC, and Hulu. Further, it supports Dolby Atmos sound so you can hear your shows with the best possible sound quality. 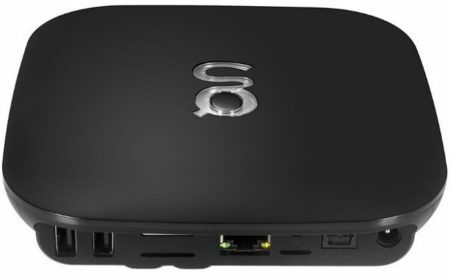 At just 2.6” wide and deep, this is one of the smallest Android TV boxes on the market. It’s incredibly versatile and because of its customer support options, the Fire TV is a must-have for anyone looking for a simple, plug-and-play TV streaming solution. Frankly, for less than 70 USD, this product is an absolute bargain. Next up we have a product that’s very well known in the Android community. The Leelbox Q2 mini has it all: aesthetics, strong hardware, and of course, the ability to watch 4K video whenever and wherever you feel like it. This box has a 2GHz processor and 2GB of RAM, so it’s among the most powerful products available. It comes with 8GB of onboard storage and this can be expanded using either an SD card or USB flash drive. There’s Bluetooth and 2.4GHz WiFi support too, so you can connect however you like. What’s the catch? This is a fairly large box, though. It measures more than 7” wide but the majority of the front panel is taken up by a screen that displays the current time and power LED. We can’t help but feel that this could have been better utilized – perhaps to display the current track or video name? 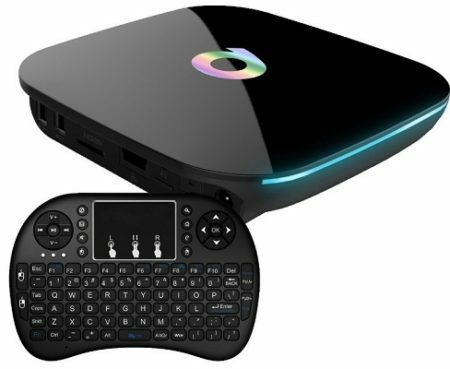 Regardless, this is a powerful Android TV box and the inclusion of an AV out will no doubt please people who own an older TV set. At around 50 USD, this is one of the most economical ways to turn your TV into a smart TV, so it’s hard to complain too much. 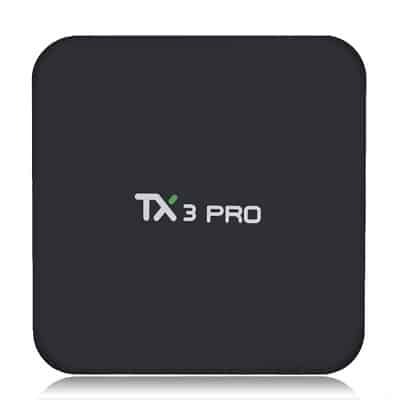 Lastly, let’s look at the Mifanstrach TX3 Pro. This is one of the most versatile TV boxes we’ve seen, in no small part thanks to its myriad of connectivity options and understated hardware. Despite having less RAM and a slower processor than most, it’s still capable of displaying 4K content with no buffering. This box has everything: an SD card slot, two USB ports, a SPDIF port, AV and HDMI outputs, and a space for an Ethernet cable. It relies on a special DC adapter for power, which is a hint to this unit’s higher than expected streaming potential. This box supports 2.4GHz WiFi and Bluetooth, which means that wireless keyboards and mice are also compatible. It comes with a dedicated remote control, but it’s the same barebones model from the low-budget boxes. As such, a good keyboard could easily replace it and provide added functionality. All things considered, we really liked this box. It costs around 40 USD and is more than capable of competing with the heavy hitters like the Fire TV or Leelbox. For this reason alone, it’s more than worthy of its spot on our list. Android TV boxes, despite their name, are not just for watching TV. You can do anything with Android from data science to gaming. The problem is that these applications require powerful machines, so we’ve found three of the best and we’ll be reviewing these below. 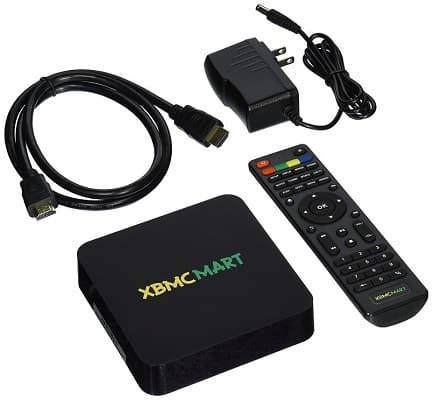 We’re going to start with the XBMCMart Android TV Box. Now, this is a product that’s designed for use with Kodi. It’s a one-stop solution for watching 1080p video and if you’re not bothered about 4K, it’s one of the most powerful options out there. So what makes this a good choice? Well, it comes with its own integrated GPU so while it’s not exactly a pro gaming PC, it’ll get the job done better than most cell phones or tablets would. It comes with Android 5.0 installed, so you might want to update it to play newer releases, though. Unlike most of the other products we’ve seen, this one has four USB ports. This means that you’ll have ample space for additional peripherals like a controller and microphone. You can add up to 32GB of additional storage too, which is a must if you have lots of games saved. While its processor is a little slower, the XBMCMart box is a good choice for anyone looking to cover all their bases. It can stream HD content without any problems, it lets you game, and it runs fast enough to handle general web browsing too. It’s essentially a netbook, but better and far less expensive. 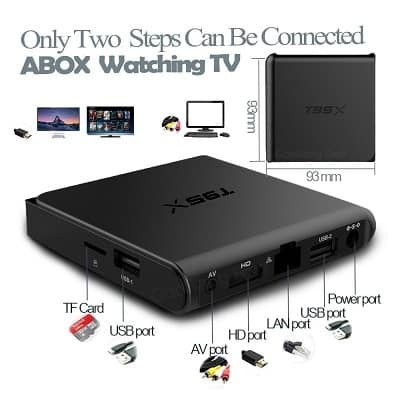 The Topsion TV Box is a rare beast. It can handle 4K streams and even includes everything you’ll need to browse content comfortably. There’s a remote control, of course, but also a controller-style QWERTY keyboard included for increased ease of use. Let’s talk connectivity for a second. This box has an SD card slot and a maximum capacity of 64GB. There are also dedicated ports for USB 1, 2, and 3 devices. This means that you can connect the latest, greatest peripherals as well as those old ones that you just can’t live without. There’s even an AV out port for those of us who haven’t moved onto HDMI-based systems. It should be noted that this product uses a DC adapter and so cannot be used with most power banks. As a result, it’s slightly less portable and is better utilized in one location rather than being moved around. File computability is good with most video and audio formats supported. You can choose to connect via 2.4GHz wireless or Bluetooth signals, so there’s plenty of scopes here for screencasting. 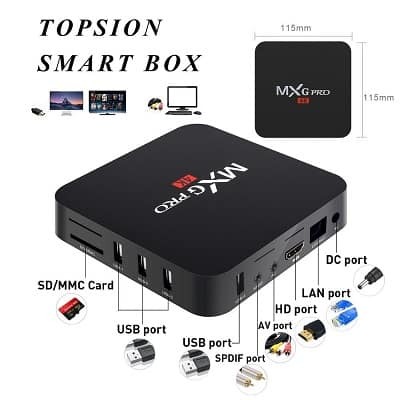 This makes the Topsion box a strong choice for people who already own a lot of tech. Last but by no means least, we have the ABOX A2. This looks almost like a games console instead of a TV box and its appearance really helps set it apart from the crowd. That’s not all it has to offer, though, as we’ll explain below. This model boasts an exceptionally quick setup and full 4K video compatibility. Best of all, it’s dual-band and can connect to the 5GHz network for even faster loading. This is essential if there are multiple people streaming in your home and can make all the difference. This box supports all common file types and even allows you to include subtitle files. It’s a small addition, but one that is often overlooked so we’re glad to see it included. The remote control is ultra-basic, but don’t let that put you off – this box is among the best we’ve seen. In short, the ABOX A2 is a powerful, attractive product that is as versatile as it is affordable. 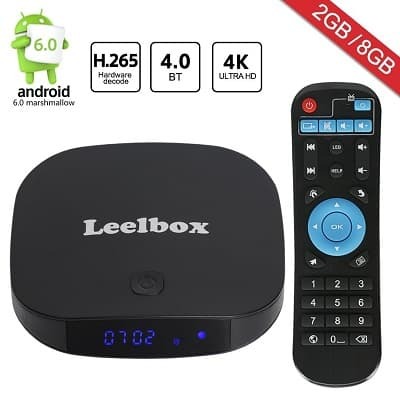 For a little over 70 USD, there are few Android boxes that can compete with this one’s connectivity and functionality. If you don’t mind spending a little more for quality, this would be an excellent choice. Half of the benefit of these systems is their portability – setting them up is as simple as plugging them into a TV, after all. However, some TV boxes are fairly large. To help you out, we’ve found three of the smallest, best Android TV boxes around, so check them out. First of all, we have the KUKELE TV Box. It’s a bit more expensive than most others, but that’s because it comes with dual WiFi antennas to help you get the best possible connection. So what else does it have going for it? Let’s find out. This box comes with a gigabyte more RAM than any other on our list. That’s a lot of power packed into a box that’s just a few inches in size! Also included are a remote control and compact QWERTY keyboard so you can browse content as easily as possible. Picture the scene: your favorite show is on tonight but your TV box has stopped working. Nightmare, right? Well, the KUKELE box comes with unlimited free tech support. Better yet, they guarantee that all questions will be answered within nine hours so if you contact them early enough, there’s nothing left to stand between you and that Deadliest Catch marathon. Their tech support staff can even take remote control of your box so if you’re not particularly techy, you don’t have to do anything yourself. And of course, it goes without saying that a box in this price range can stream in 4K and 3D. Next, we have the Amazon Fire TV Stick. 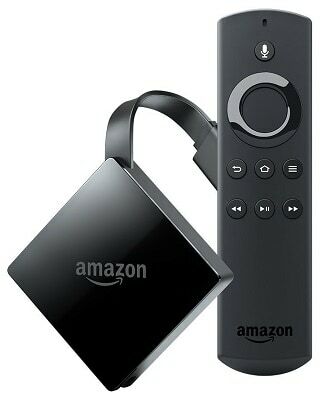 This is a smaller version of the Fire TV that can easily be slipped into a pocket when traveling. It does have slightly less powerful hardware but it’s still capable of handling all the streaming you could possibly want. Part of this product’s appeal is that it’s so inexpensive. 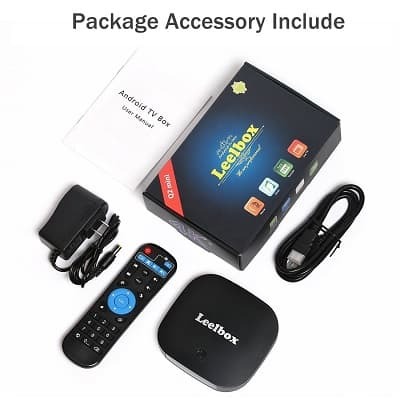 It’s priced at roughly 40 USD so it’s one of the most budget-friendly TV boxes, plus because Amazon is such a huge company, their tech support is top notch. Now, let’s temper expectations. The Fire Stick isn’t capable of streaming at 4K, but it can handle 1080p, 60fps streaming with no problems. Again, due to its hardware, it’s not a great choice for playing games. It really is best used as a dedicated HD streaming device instead of an all-purpose Android installation. 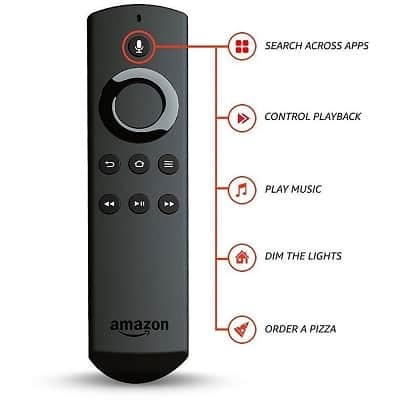 This model uses the same remote as the Fire TV which means the voice command support is still included. If you have smart lights or outlets, you can even use these commands to dim the lights and get everything set up without leaving the sofa, which is excellent, if a little expensive. 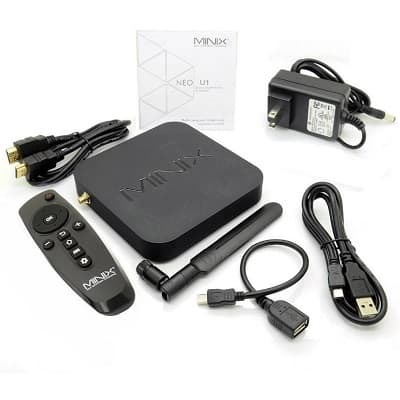 Finally, we have the MINIX NEO U1. This box measures just 3.9” wide and deep, so it’s definitely on the smaller side. It justifies its higher than average price by including a movable WiFi antenna and additional connectivity options, but does this make the MINIX worth it? To be honest, there isn’t much to complain about here. This box has three USB ports, which is more than usual, and there’s even SPDIF, SD card, and dual-band WiFi support. What really sets this model apart is the inclusion of both a headphones and microphone jack so you can watch without disturbing anyone nearby. 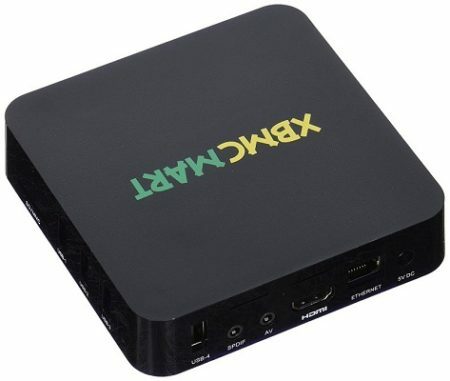 This box is capable of streaming 4K video at 60fps, so it’s one of the smallest, most powerful Android TV boxes around. We really liked that it comes with a Kensington locking system. 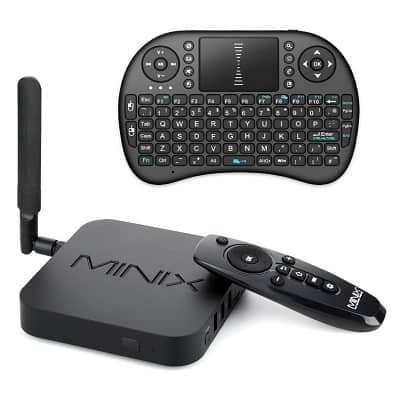 This makes the MINIX an excellent choice for shared accommodation or if you’re an Airbnb host, for example. 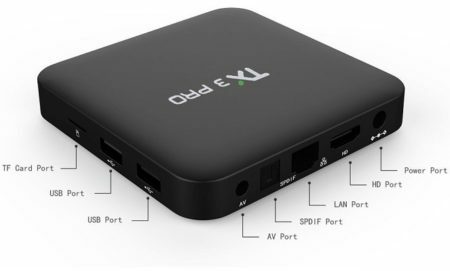 These features make the NEO U1 one of the most versatile Android TV boxes on the market. 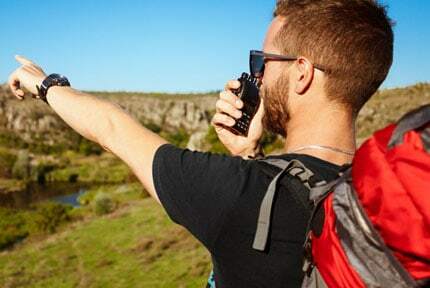 While it’s a touch more expensive than most people would like, it offers several ways to connect to devices and the inclusion of an antenna means you can get the strongest WiFi connection possible. Sure, 2.4GHz TV boxes will usually stream just fine but if you live in a home with thick walls or just poor WiFi coverage, you’re going to want to make the most of what you’ve got. That’s where dual-band boxes come in. Below, we’ve covered three of the best dual-band Android boxes around to make your life easier. 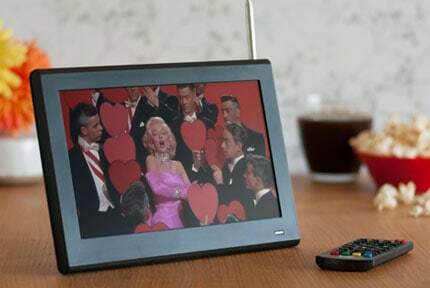 The EASYTONE Box comes with a quad-core processor capable of streaming anything you’d like at 60fps. What’s more, it’s one of the sleekest, most attractive looking boxes around. After all, if this thing is going to be on display in your home, you want it to look great. 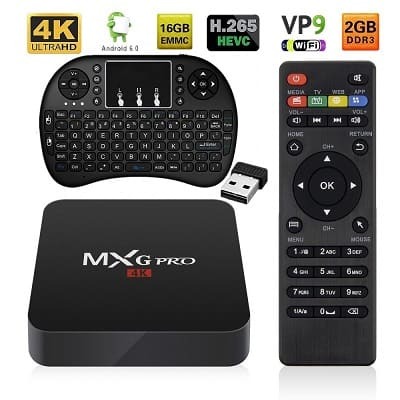 It comes with the now familiar mini QWERTY keyboard, but if you have a different keyboard around you can connect that either via the 2.4GHz frequency or Bluetooth. We really liked that this box uses hardware acceleration to improve 3D and gaming performance – it really is an all-purpose box. Now, it is fairly large. It’s almost 10” wide and 8” deep, so you’re going to need some dedicated space for it. That said, it’s powerful enough to justify a larger footprint and we can’t really fault it for that. If you’ve got around 70 USD to spend, you could do far worse than the EASYTONE TV box. Next up is the QBox TV Box +. You’ll notice that this box is identical to the previous product, but there are some differences between the two that aren’t immediately apparent. For a start, this one has a slightly slower processor and is just the tiniest bit smaller. So what makes this box better than the last one? Well, it comes with 24/7 tech support and a dedicated remote control, as well as the mini-keyboard. It also comes with Kodi preinstalled so you can go from the box to streaming in just a couple of minutes. In short, this box is one of the easiest to use if you’re not technologically inclined. Everything you need is already set up and if you run into trouble, there’s a dedicated helpline. Despite the small differences in hardware, this model runs just as well as the EASYTONE box and offers a no-fuss setup. Frankly, that alone makes this box worth a look. 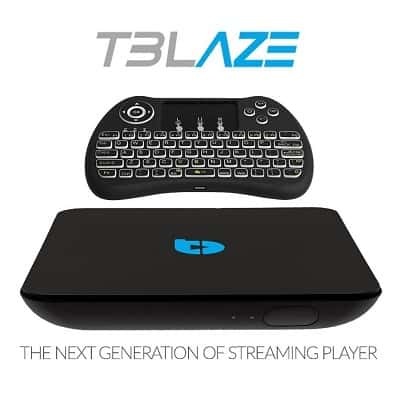 Last, we have the Tblaze Android TV Box. 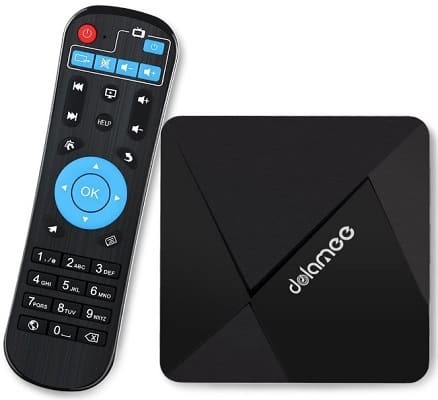 This is an attractive looking box with a matte black finish and all the hardware you need to watch your favorite movies lag-free and in 4K definition. It also includes a sleek mini-keyboard with a matching aesthetic, which is a nice touch. Because of this model’s eight-core processor, it’s an excellent choice for people who like to game as well as stream. There are two USB ports on the back so you can connect a controller or extra storage, plus there’s Bluetooth compatibility so you can use a headset. For a little over 100 USD, we’d have liked some more connectivity options. For instance, there’s no SPDIF or AV out option, and considering these are present on some of the lower-end products, it’s a real shame to see them omitted here. That said, this box speaks for itself and we recommend it wholeheartedly. As you’ve probably noticed, there’s a lot to take in with each different product. Some work better than others and some include extra features, but here’s where we break it down. 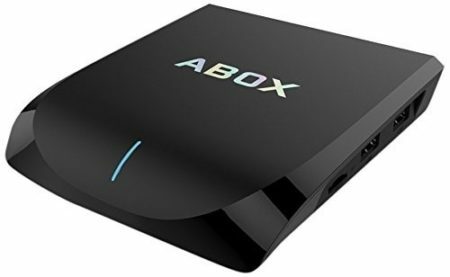 The following products represent the biggest bang for your buck and are the best Android TV boxes overall. The NVIDIA SHIELD TV is an absolute powerhouse. It costs around 200 USD but not only allows you to stream movies, it lets you cast 4K, 60fps content from your PC to your other devices. This does require your PC to have a supported NVIDIA graphics card, but it’s a really cool piece of kit. The SHIELD has a wide selection of exclusive games, too, and comes with a free 3-month subscription to YouTube Red. This grants you access to paid content that otherwise would cost you money each month – given the lack of Red content, you’ll likely finish it all before the trial ends. So far, so good, right? It’s a fairly large box, but it has to be in order to contain all this high-end hardware. Also, as the most expensive box in this list, it’s not going to be for everyone. Those who can afford it, though, will find it’s a very strong performer and well worth its high initial price. 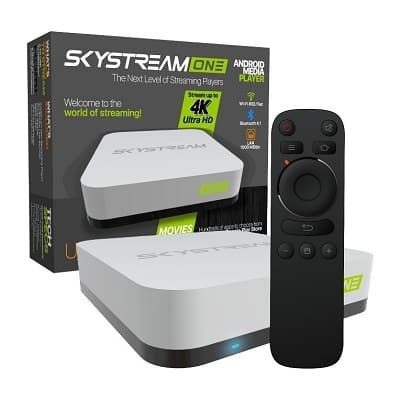 Our penultimate pick is the SkyStream ONE TV Box. It boasts a powerful processor and 2GB of RAM, so it’s able to handle 4K streams effortlessly. It uses HEVC encoding protocols to reduce the amount of data used for HD streams, so it’s easier to stream when other people are using the internet. All of the usual connectivity options are included. Regardless of the TV, you’re using or how old the rest of your hardware is, this box will connect to it with no problems whatsoever. The remote control is very basic, though, so you may want to invest in a more advanced model for the best results. The SkyStream One is a good compromise between affordability and function. 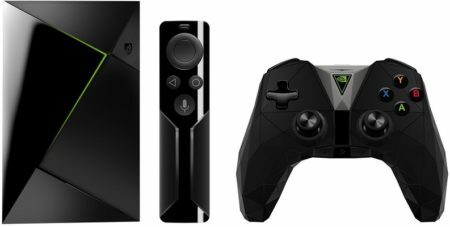 It’s around 50 USD less expensive than the NVIDIA SHIELD, so if you’re not interested in gaming, it may well be the best TV box around in its price range. We’ve finally reached our last recommendation, and it’s just as strong as the others. The Matricom G-Box Q2 comes with an octa-core processor and its own discrete GPU for increased performance when playing games or 3D video. Not bad for a model that costs less than 100 USD, right? It has 16GB of internal storage which is decent if unexceptional, and you can increase this either with an SD card or USB stick. There’s an abundance of connectivity options, but surprisingly, Bluetooth isn’t one of them. This can always be added with a USB Bluetooth dongle, though. 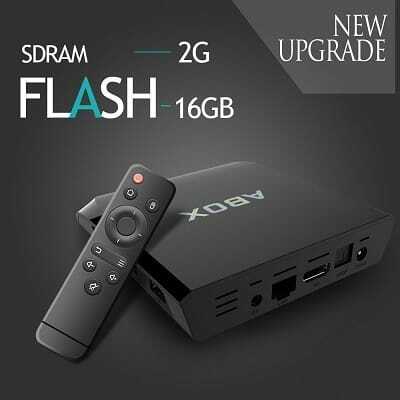 This product is best suited to those looking for a mid-budget streaming box to work with their older TV sets. It offers more than some, less than others, but is still a very strong performer that’d fit well in almost any environment.